The Church of Almighty God has replaced Falun Gong as the main target of Chinese religious persecution. Here is the essential information on what this Church is and why it is persecuted. Readers of Bitter Winter frequently encounter references to The Church of Almighty God, a Chinese Christian new religious movement. There is a good reason for this. The Church of Almighty God is the most persecuted religious group in China today, often referred to as “the new Falun Gong”— not because of its theology, which is obviously very different, but because it has become the main target of the repression of the Chinese Communist Party (CCP), a position Falun Gong occupied until a few years ago. Although the movement never mentions her name nor any biographic details, and cautions that any information supplied by outside sources may be wrong, several scholars believe it identifies the incarnated Almighty God with a Chinese woman, Yang Xiangbin (b. 1973), who was born in northwestern China. In 1989, a revival took place in the Chinese house churches (i.e. the Protestant churches that are not part of the government-controlled Three Self Church). In the same year, the person identified by the movement as Almighty God formally entered the House Church movement. In 1991, she began to utter words, that followers later compared for authority and power to those expressed by Jesus Christ, while attending meetings of the group founded by Witness Lee (1905–1997), known as the Local Church in the West and as Shouters in China. Many Christians in the Chinese House Church movement believed that those words were from the Holy Spirit and started to read them in their gatherings from 1991, when The Church of Almighty God emerged, and subsequently the person who was the source of these messages was recognized as Christ, the incarnate God and the only one true God. Among those converted to the message and the person of Almighty God was Zhao Weishan (b. 1951), a native of the Heilongjiang Province in China, who was at that time a leader in an independent branch of the Shouters movement. He was later recognized as the Man Used by the Holy Spirit, and the Priest of The Church of Almighty God. The Church of Almighty God is personally led and shepherded by the person it recognizes as Almighty God, while Zhao Weishan is cooperating with the work of Almighty God, and is in charge of the administrative affairs of the Church. 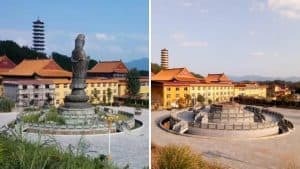 In the mid-1990s, a harsh repression targeted both the Shouters and The Church of Almighty God, whose theological differences were not necessarily clear to the Chinese authorities. Both were included in the first list of xie jiao (“heterodox teachings,” whose practice and propagation is a crime in China), published in 1995. The Church of Almighty God has appeared in all lists of xie jiao ever since. Since 1995, and even before, The Church of Almighty God has been severely persecuted in China. In 2000, Zhao and Yang went to the United States, which they entered on September 6, and in 2001 they were granted political asylum. Since then, they have lived and directed the movement from the U.S. In early 2009, He Zhexun, who used to be in charge of the work of the Church in Mainland China, was arrested by the Chinese authorities. He remains in custody to this day. On July 17, 2009, Ma Suoping (female, 1969–2009), who took over He Zhexun’s role, was also arrested by the Chinese police and died while in custody. The Church of Almighty God releases periodical statistics, and claims that between 2011 and 2013 more than 300,000 members were arrested. These figures are impossible to verify, but do not appear unbelievable if one considers the frequent references to “successful” campaigns against The Church of Almighty God in Chinese anti-xie-jiao propaganda and other official sources. A new nation-wide crackdown against the Church was started in 2018. The Church and NGOs also report that many of its members were tortured in China, and some died while in custody in suspicious circumstances. Despite governmental repression, and hostility by some leaders of the mainline Christian churches, The Church of Almighty God grew in China and, according to Chinese official sources, had reached four million members in 2014. The figure is disputed by some scholars, and the situation in China makes statistics difficult. Since the Zhaoyuan McDonald’s murder of 2014, the repression in China has intensified, and several thousand members have escaped abroad, where they have founded churches in South Korea, the United States, Italy, Canada, and other countries, in addition to those established in Hong Kong and Taiwan. The beliefs of The Church of Almighty God are mostly presented in The Word Appears in the Flesh, first published in 1997, which is the main collection of the utterances of Almighty God, amounting to more than 1,000,000 words, considered by the Church as normative and including “what the Spirit saith unto the churches” (Revelation 2:7, 11, 17; 3:13) and the truths to be expressed by “the Spirit of truth” (John 16:13) in the last days, as prophesied in the Bible. The Church defines as its member whoever truly believes in God, has “good humanity,” and is certain that Almighty God is the returned Jesus in our days from China, a country that, according to the Church, represents at the same time the place where the evil red dragon of the Book of Revelation manifested itself in the semblance of the Chinese Communist Party and the place where the Second Coming of Jesus Christ, the “Eastern Lightning,” must also manifest himself. Almighty God came to inaugurate the third age of humanity, the Age of Kingdom, which follows the Age of Law, i.e. the time of the Old Testament, and the Age of Grace, which went from the inauguration of Jesus public mission to the advent of Almighty God in the twentieth century. With Jesus’ sacrifice on the cross in the Age of Grace, the sins of humans were forgiven, but their sinful nature was not eradicated. God only gained one part of His glory. In the Age of Kingdom, God becomes flesh in China and achieves the other part of his glory. This work is final, and there will not be another incarnation of God after the present Almighty God. In the last days, the work of Almighty God has the main aim to eradicate the humans’ sinful nature. When a group of believers will have been made perfect, and the righteous will have been acknowledged and the evildoers exposed, the work of Almighty God will come to an end, and God and humans will enter into the eternal rest of the Age of the Millennial Kingdom. The return to Heaven of Almighty God would mean that the purification work had come to an end. The disasters prophesied in the Book of Revelation will follow, in the shape of earthquakes, wars, and famines. Planet Earth, however, will not be destroyed. It will become the eternal home of God’s purified followers. 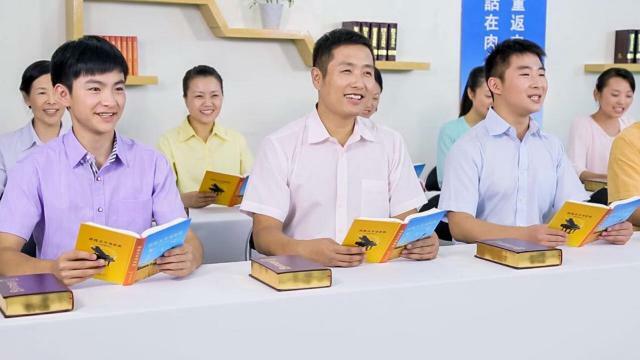 Not all members of The Church of Almighty God will survive the disasters and live forever, only those purified by God’s work. This, however, does not mean that gathering together is not important for the members of The Church of Almighty God. They “fellowship” by gathering and discussing Almighty God’s words, hearing a sermon as well as meeting to sing hymns, share testimonies, and listen to preaching. The richness of the religious life contrasts with a minimalist style of worship. There is no pattern of the religious life’s frequency or duration, which depends on the needs and situations of the members of each local community. The Church has been accused of being “against the family,” but this appears to be just a stereotypical accusation against groups labeled as “cults.” In fact, the Church’s theology emphasizes the positive role of the family as part of God’s plan for humankind. A survey carried out in several countries, and published in 2018 in the Interdisciplinary Journal of Research on Religion, showed that, although other forms of proselytization also exists, most devotees of The Church of Almighty God are converted by relatives and in turn try to convert members of their family. 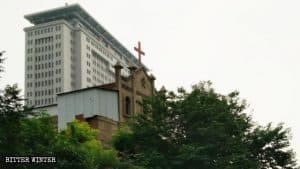 Accusations of serious crimes against The Church of Almighty God come from two sources: the Chinese Communist Party and other Christian churches. 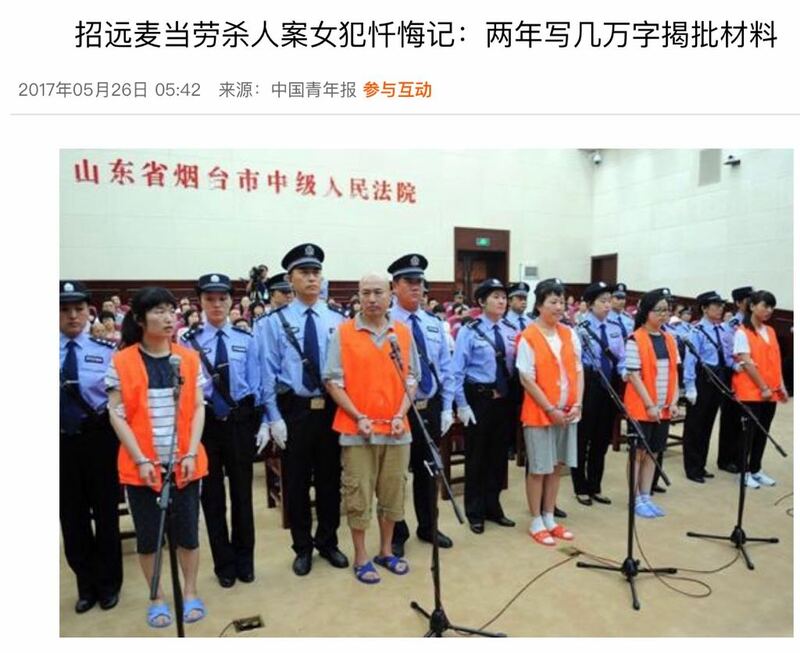 The Chinese government and media periodically accuse The Church of Almighty God of crimes. Other incidents are also mentioned, but the most frequent accusations concern the Zhaoyuan McDonald’s murder of 2014. Scholars who studied these issues proved that the accusations are fake news fabricated by the Chinese government. The Zhaoyuan McDonald’s murder was the brutal homicide, on May 28, 2014, of 37-year old salesgirl Wu Shuoyan (1977–2014), in a McDonald’s diner in the city of Zhaoyuan, in the Chinese province of Shandong. Six “missionaries” entered the McDonald’s and asked for the cell phone numbers of the customers. 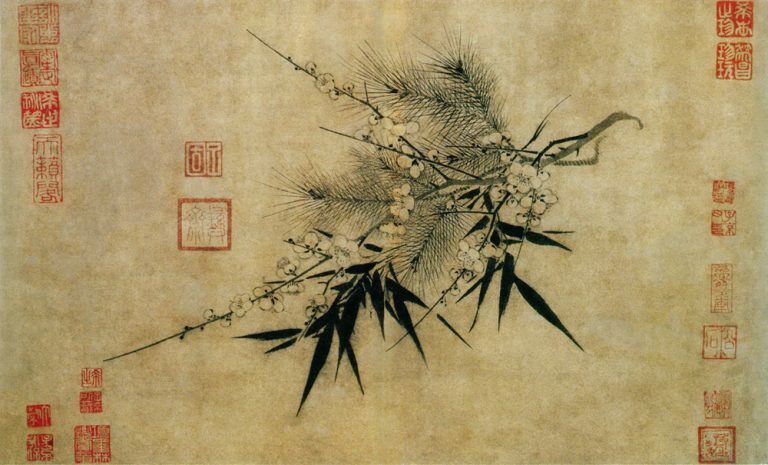 Wu refused to supply hers, was identified as an “evil spirit,” and killed. 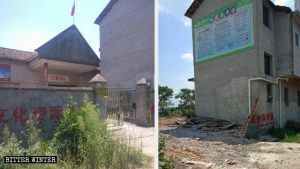 Chinese authorities claimed that the perpetrators were members of The Church of Almighty God, and used the claim to justify their increasing public repression of the Church. The claim was also repeated by mainline media in the West. However, scholars who studied the documents of the subsequent trial, where two of the assassins were sentenced to death, concluded that the group, although using the name “Almighty God,” was not part of The Church of Almighty God and in fact believed in a dual deity incarnated in the two female leaders of the movement: Zhang Fan (1984–2015), who was executed, and Lü Yingchun. 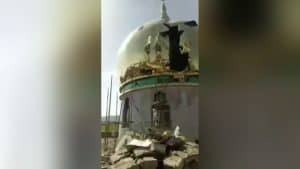 The Church of Almighty God has also been accused of predicting the end of the world for 2012, within the global framework of the 2012 phenomenon, based on prophecies attributed to the Maya civilization, causing riots and even crimes around China. This was another justification used by Chinese authorities to arrest a great number of members of the Church. Australian scholar Emily Dunn, in what was the first scholarly book devoted to The Church of Almighty God in 2015, noted that, like many Chinese, some “members of Eastern Lighting embraced the Mayan prophecy” but they “appear to have done so without sanction from the group’s self-proclaimed authorities,” who in fact declared “Mayan” and other theories about the end of the world as theologically and factually “mistaken.”. The belief that the world would end in 2012 was inconsistent with The Church of Almighty God’s theology, which does not include a doctrine of the end of the world. Other Christian churches have accused The Church of Almighty God both of “heresy” and of “sheep-stealing” through devious strategies. 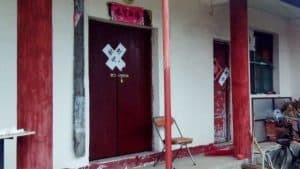 Accusations include the claim that, in 2002, The Church of Almighty God kidnapped thirty-four leaders of the China Gospel Fellowship, one of the largest House Churches in China, in order to convert them. While a number of Christians in the West found the accusations believable, both The Church of Almighty God and scholars found inconsistencies in the story noting that, by inventing the story of the kidnapping, the China Gospel Fellowship simply tried to find a justification for the fact that many of its members, including national leaders, had converted to The Church of Almighty God. Other controversies concern the denial of refugee status to members of The Church of Almighty God who escaped to South Korea and other countries. While authorities in these countries claim that there is not enough evidence of the fact that asylum seekers have been personally persecuted, some international experts counter this with the argument that, since many of their co-religionists and family members have been persecuted, this is sufficient evidence that the members have a genuine fear of persecution, and decisions unfavorable to applicants are unjustified.